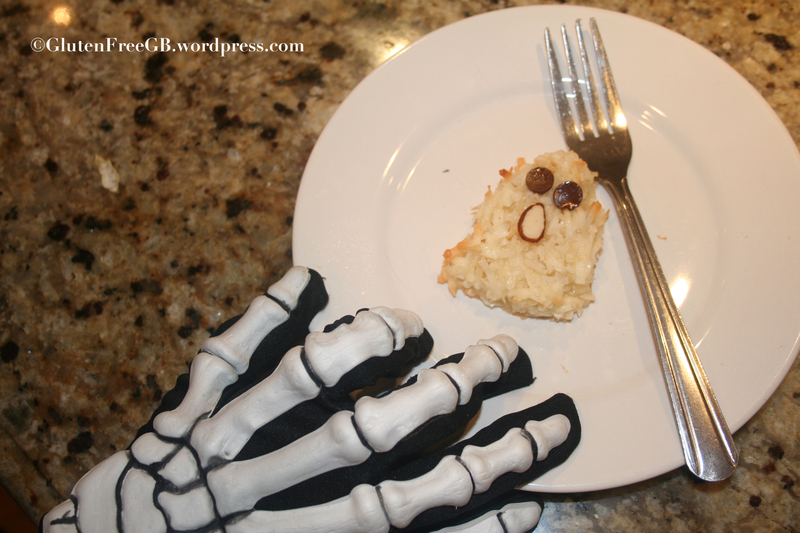 My mum and I were trying to transform some of our already gluten free desserts into yummy Halloween treats. 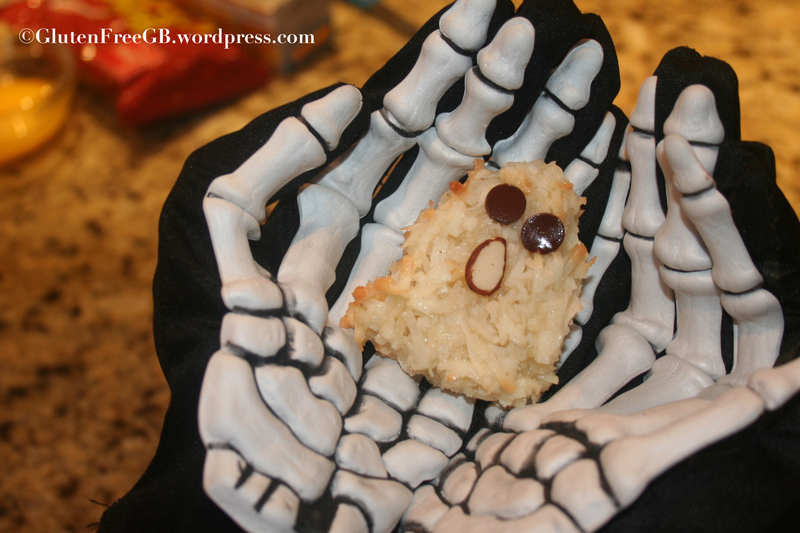 Here, we’ve taken our regular gluten free macaroon recipe, and transformed it into ghost macaroons! It is super simple, fun to make, and even more fun to eat! 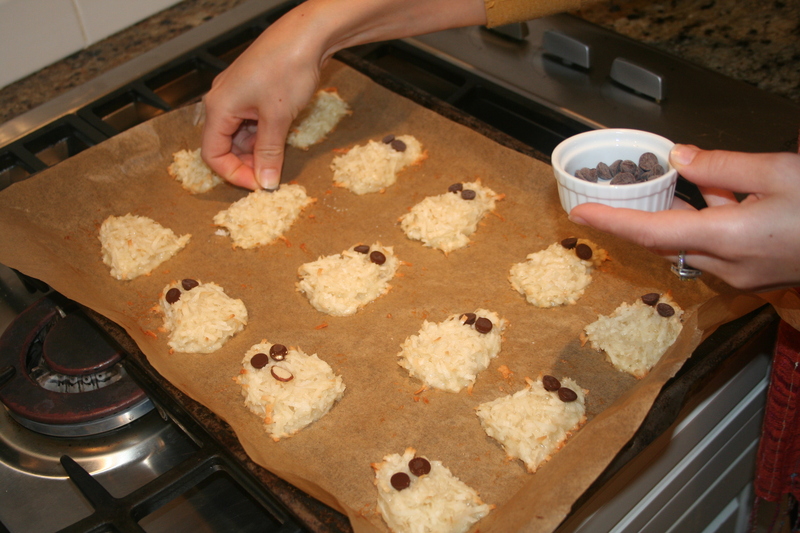 Once your ingredients are all mixed, start making ghosts! The batter doesn’t spread too much when it’s baked, so shape them just slightly smaller than you want in the end. I use roughly a golf ball of batter for each, about as much as you can pick up with an overfilled melon baller. Shape them into cone like ghosts, with a flat bottom, and rounded top. Cook on 325° for 20 minutes, or until edges begin to brown. 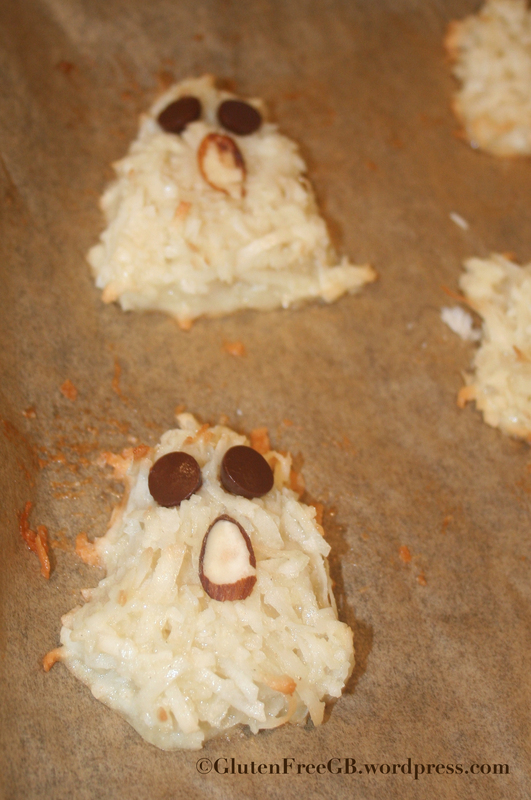 They will be gooey when you take them out, so quickly put in (gluten free) chocolate chips upside down as eyes, and gently push in a sliced almond as a screaming ghost mouth. 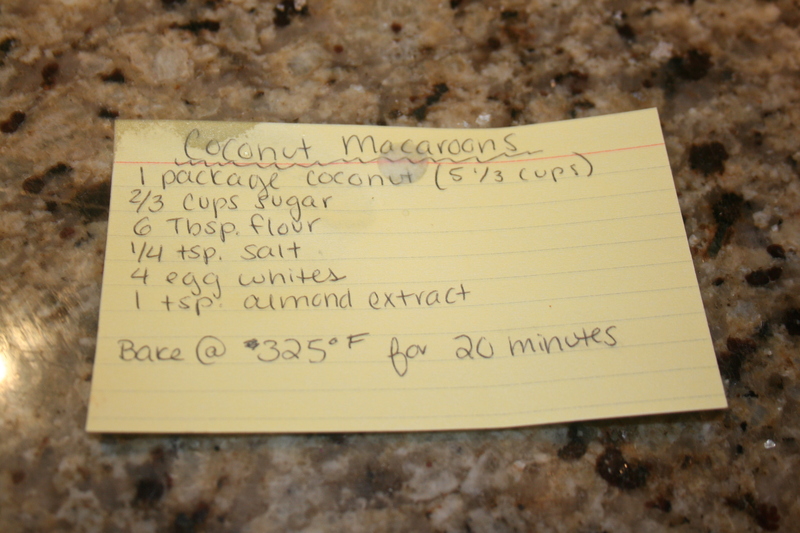 Then refrigerate and they will turn chewy and delicious!